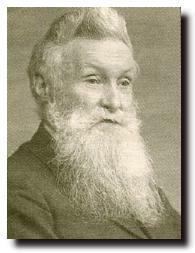 Born into a farming family in Dreghorn in Ayrshire, John Boyd Dunlop was a veterinary surgeon by profession, having qualified at Edinburgh Veterinary College (now part of Edinburgh University ) when he was only 19. He worked as a vet in Edinburgh for nearly ten years before moving to Belfast. He built up a large practise in Ireland but found the rough roads and the iron, wood or solid rubber wheels an uncomfortable way to travel. He experimented with his son's tricycle and in 1887 he came up with a design based on an inflated rubber tube and patented it the following year. This was not the first time someone had tried this - another Scot, Robert William Thomson had patented the idea in 1845 (though Dunlop was unaware of this). He established what would become the Dunlop Rubber Company but had to fight and win a legal battle with Thomson. John Dunlop did not benefit much financially from his invention - he sold the patent and company name early on. Despite Thomson's earlier work, Dunlop is credited with the invention of the modern rubber tyre. Dunlop retired to Dublin and died there in 1921.